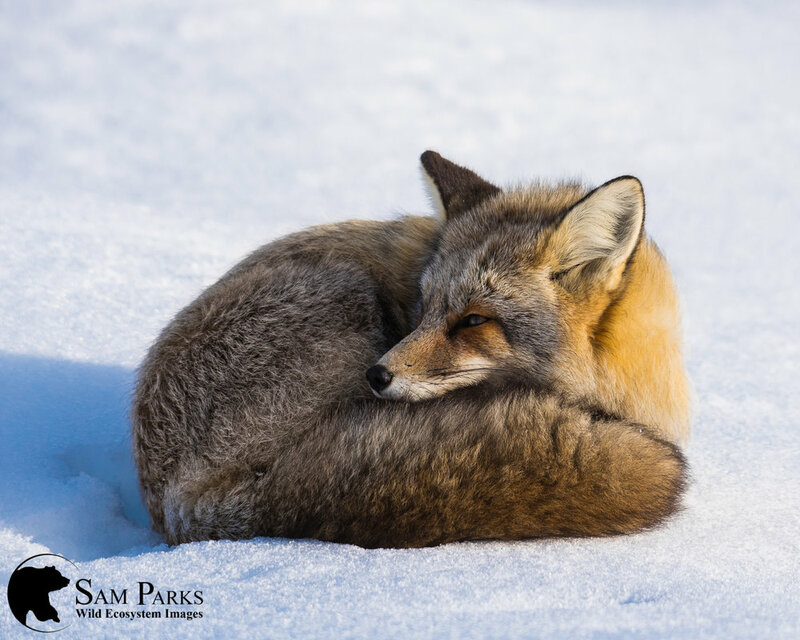 Sam Parks is available as a private photography or wildlife guide in Yellowstone and Grand Teton National Parks for Jackson Hole Grand Expeditions. Sam has spent the last decade photographing in the Greater Yellowstone Ecosystem and learning about the habits and movements of the stunning array of wildlife that calls it home. His knowledge of the area and it's wildlife, coupled with his photography experience, will put us in the best possible situations to maximize your photographic opportunities. 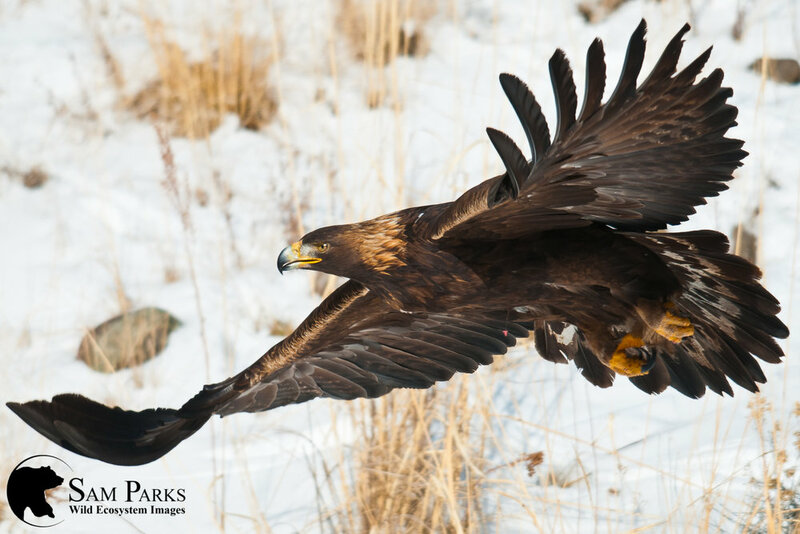 Tours and Instruction are private and can be tailored to suit your particular photographic interests and goals and can include a focus on general wildlife photography, landscape photography, or even a particular species like grizzly bears. Tours and Instruction are available for photographers of all skill and experience levels. They can involve as much or as little photographic instruction as you desire. 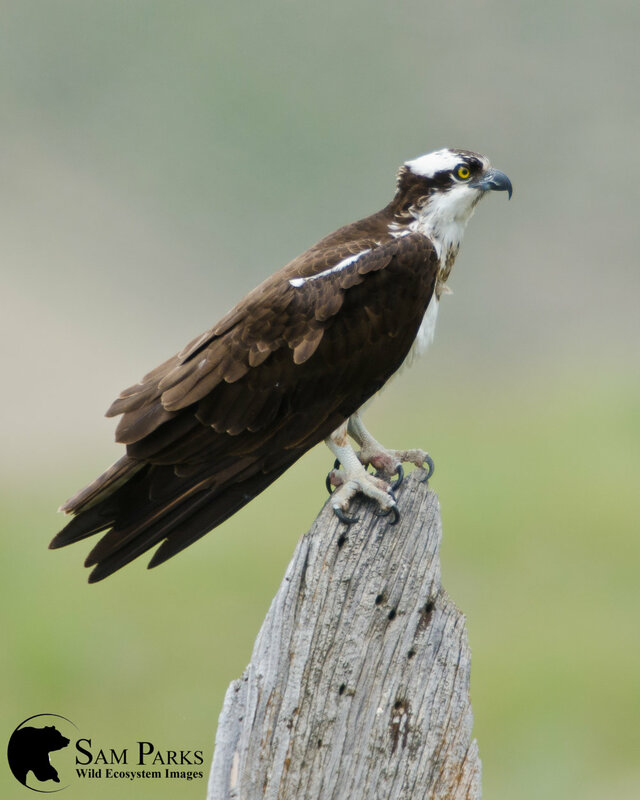 Wildlife tours are available for the non-photographers as well! Limited to 4 people to ensure a more personalized, instructive experience and to limit our impact on the park. For Questions, Inquiries About Dates, and Booking Information, Please Email sam@samparksphotography.com or Call (307) 640-3388. 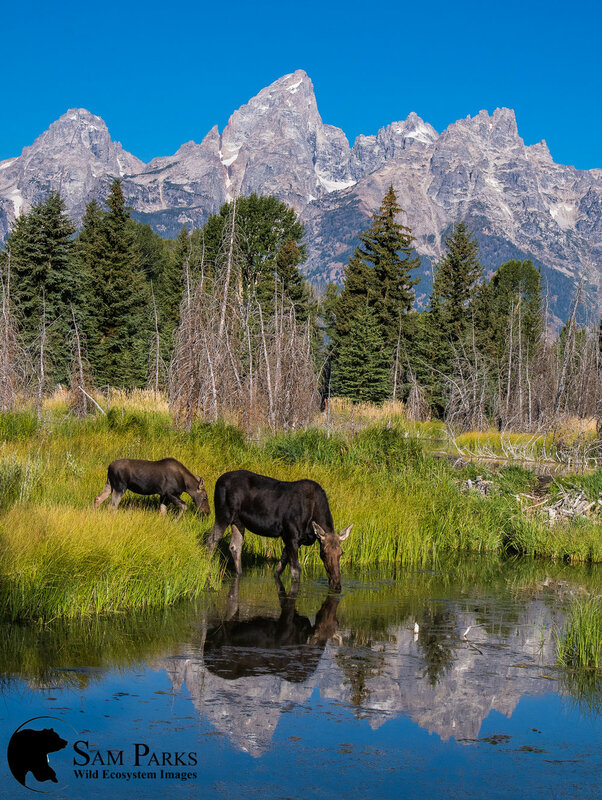 The diversity and quantity of wildlife in Yellowstone and Jackson Hole is matched by few places on the continent, making it a wildlife photographer's paradise. I am often asked the question, "When is the best time of year to visit?" It's hard to answer that question because each season in the parks is unique and offers its own photographic opportunities. 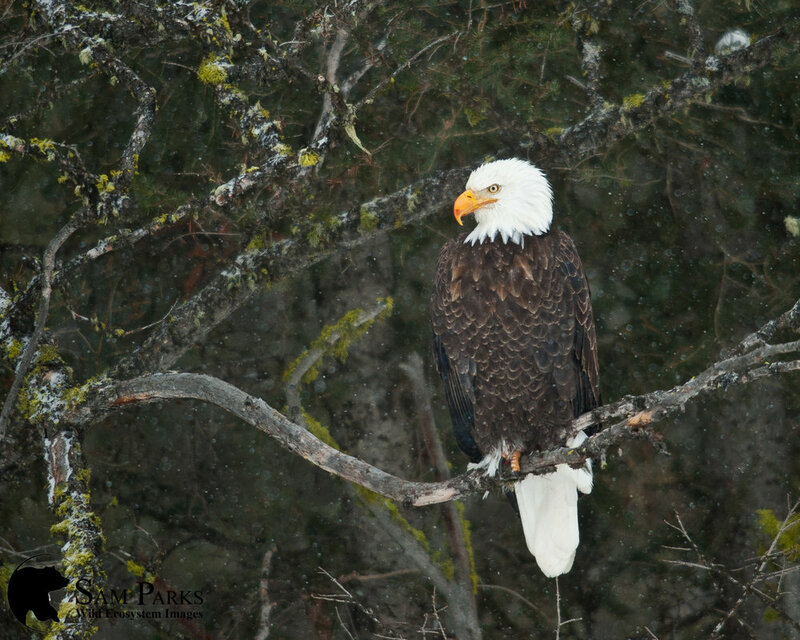 Spring is a spectacular time to photograph in the parks and generally produces the greatest diversity of wildlife. Spring is the time of new life in the parks, providing us a special opportunity to capture intimate images of mothers interacting with their young. Bison calves are typically born by early May, while elk, moose, deer, bighorn sheep, and pronghorn will not give birth until the end of May or first part of June. 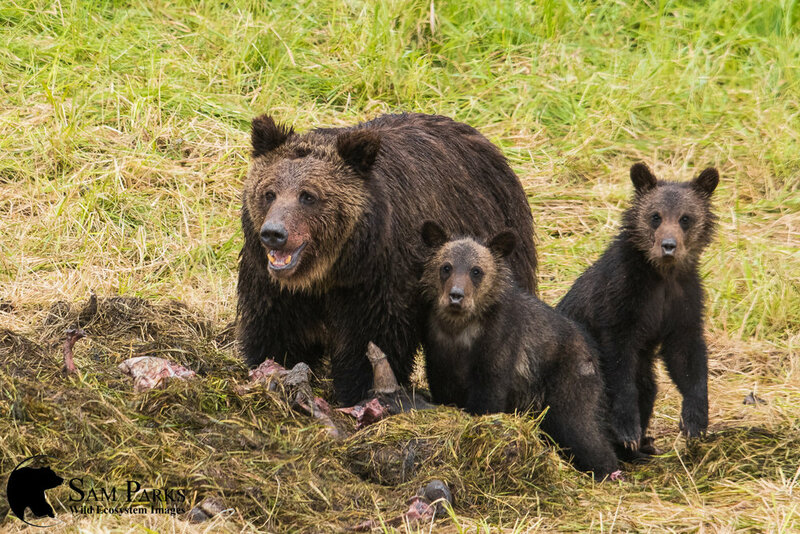 New bear cubs, both black and grizzly, will begin to be seen in early to mid May. The months of May and early June are by far the best time of year to see and photograph bears. They are especially active and concentrated in the valleys during this time, making them more visible, and are also in the midst of their mating season. Wolves too are especially active in the Spring as they need to hunt more often to feed their growing pups, although wolf sightings close enough to photograph are relatively rare. 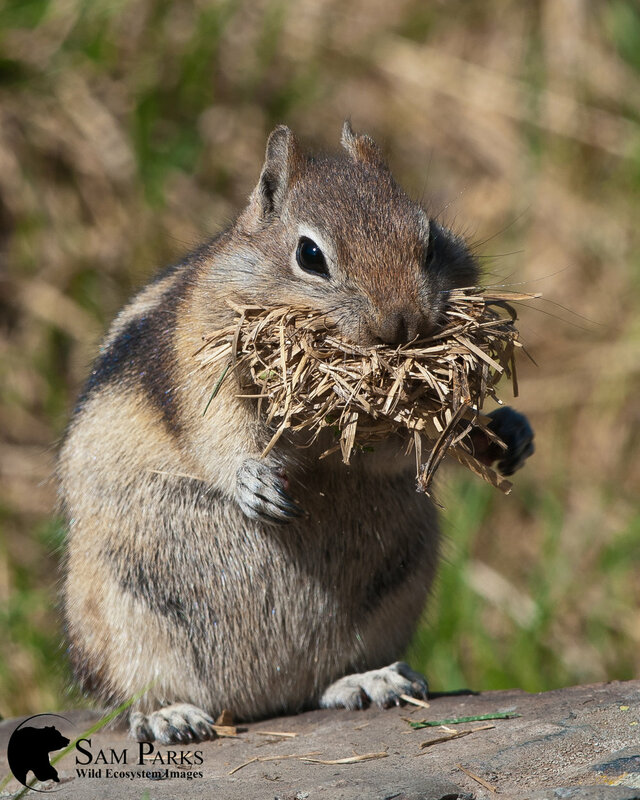 Numerous small mammals, such as red fox, badger, coyote, river otters, beaver, weasel, marten, marmot, pika, and others are also raising their young and are all species we will be on the lookout for. Bird photography in Spring can be be excellent with common sightings and photographic opportunities with mountain bluebirds, woodpeckers, displaying dusky and ruffed grouse, great gray and great horned owls, waterfowl, white pelicans, osprey, bald eagles, numerous small nesting birds and countless others. Settings during Spring can include anything from a lingering snowfield to an early season wildflower meadow, but the landscape generally begins to green up towards the end of May earlier in the lower elevations. Weather can be unpredictable in the Spring and can involve blizzards and freezing temperatures and warm sunny weather, sometimes both in the same 24 hour period. Crowds typically begin to pick up for the Summer season around Memorial Day. Spring days are long with shooting light for about 15 hours per day. Summer is a highly underrated time to be in the parks, especially Jackson Hole. While it is the tourist high season, most people will stick to the developed areas and some of the best wildlife areas will see very little use. The types of wildlife that can be encountered on a Summer trip are pretty much the same as Spring. 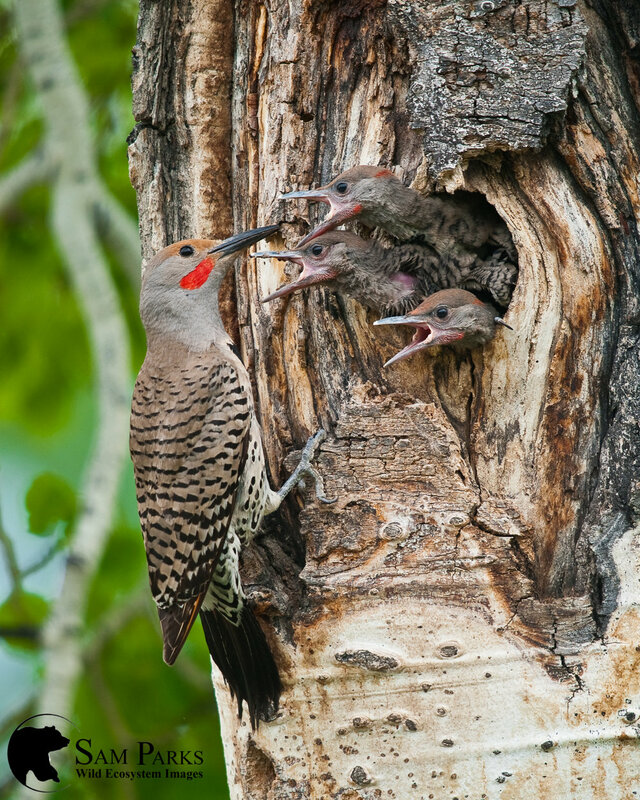 During the summer, most wildlife are continuing to care for their growing offspring. Bears are less commonly sighted but can still be encountered and photographed at any time. Another advantage of the summer is that many of the bull elk, moose and deer bucks will now be sporting impressive sets of velvet-covered antlers, adding significantly to our photographic potentials. The most intense event of the summer is certainly the bison rut as the dominant bulls, occasionally weighing up to a ton, compete and fight for the opportunity to mate with the cows. Wildflowers are in full bloom in many areas by the end of June, while the higher elevations wildflowers will peak in July. Weather in the summer stays relatively mild with high temperatures generally in 70s and 80s in Jackson Hole and the 60s and 70s in Yellowstone. Mornings can be brisk and afternoon thunderstorms are relatively common. Fall is an excellent time to be a photographer in the Tetons or Yellowstone. The aspens and cottonwoods, especially in the Tetons, begins to glow around mid September with peak foliage typically occurring in the last few days of September. Fall is also the time of the rut, as the sounds of bugling bull elk fill the air. 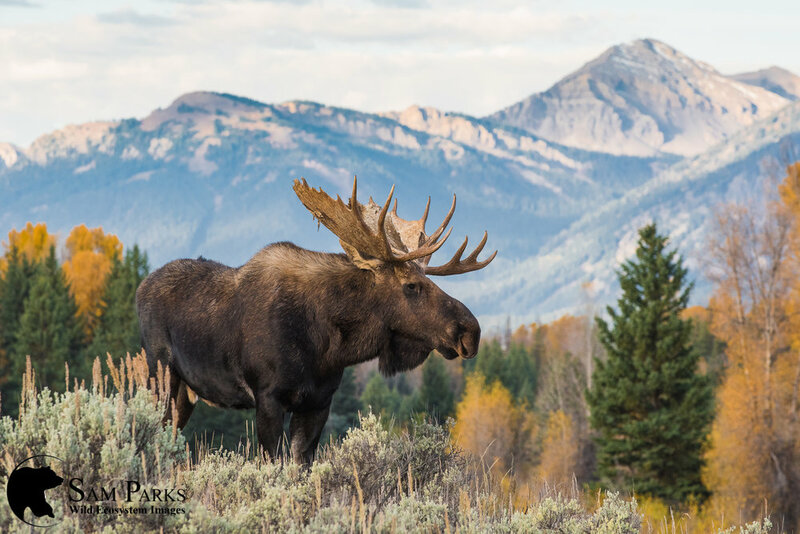 Elk, moose, and pronghorn will rut in September and early October and the intensity of the ruts coupled with the fall foliage can make for some incredible photography. Bears too have become more active as they begin to fatten up for their upcoming winter hibernation. Sightings of both black and grizzly bears increase in the fall, and black bears especially can become a relatively common sight in the berry patches. 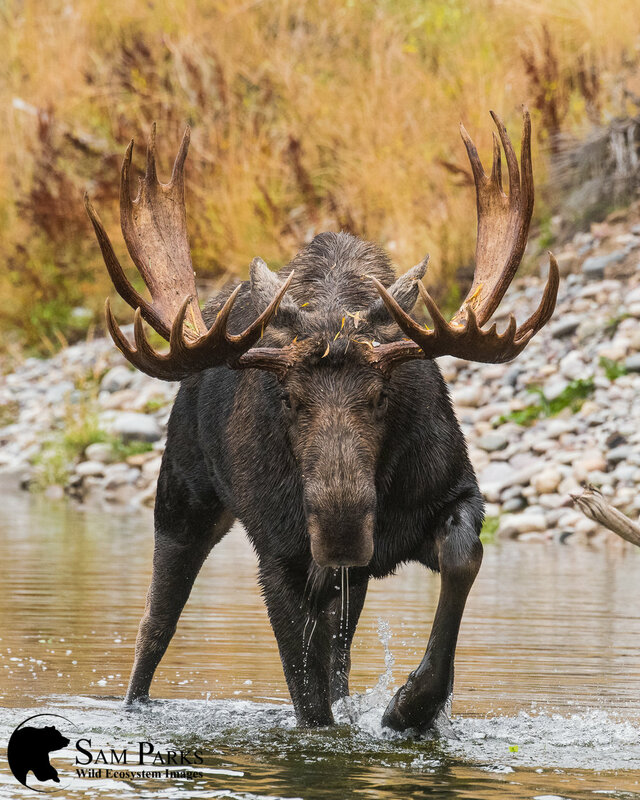 Other wildlife occasionally seen and photographed in the fall are bison, mule deer, owls, beavers, foxes, otters, wolves, coyotes, weasels, martens, and numerous bird species. Weather during the fall can range from warm sunny days to winter-like weather. In general, early fall is a very pleasant time to be in the park, with moderate temperatures and little precipitation. Temperatures begin to drop in October and snow becomes more common. After peak visitation in August, the parks get less and less busy further into the fall. By the end of October, there are very few people in the parks and wildlife opportunities can be exceptional. Winter is a very special time to photograph in the parks. Many area photographers say that it's the best time of the year for wildlife photography and it's hard to disagree with them. 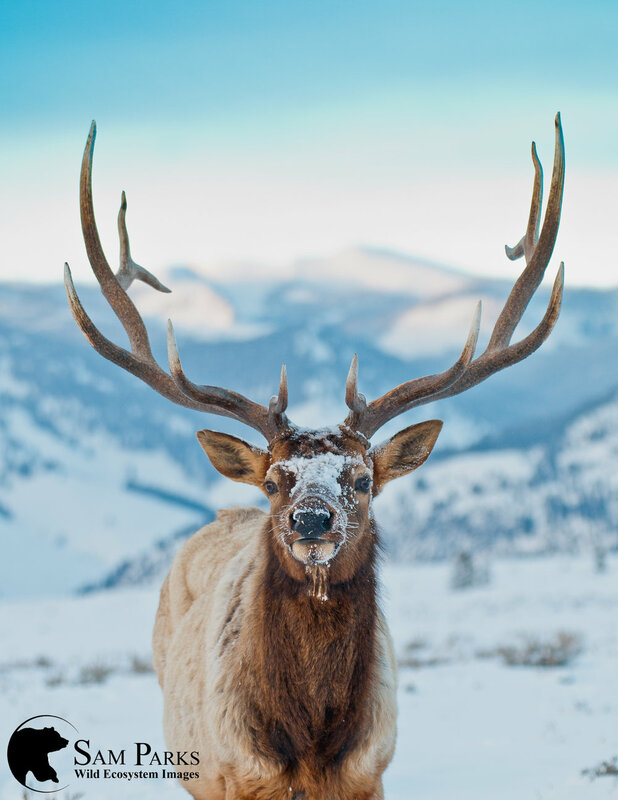 With numerous species of wildlife to be seen and photographed on a pristine layer of snow in such a dramatic setting as Teton or Yellowstone, winter in the area is a truly world class destination for wildlife photographers. Although bears are in hibernation, much of the wildlife that is around becomes more visible. Canines including red fox, coyote, and gray wolf become much more active, especially during their breeding season in late January and February. They are sporting their thick winter furs this time of year, making them especially attractive photo subjects. 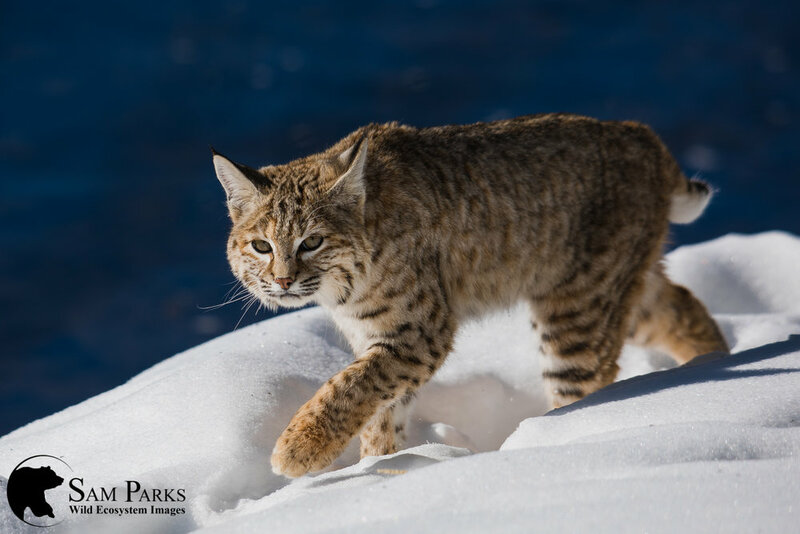 Other predators too are more active in the winter, including weasels or ermines (which turn white in the winter), pine martens, river otters, and rarely even bobcats. Bird life in the winter, although not as diverse as summer, can be exceptional. 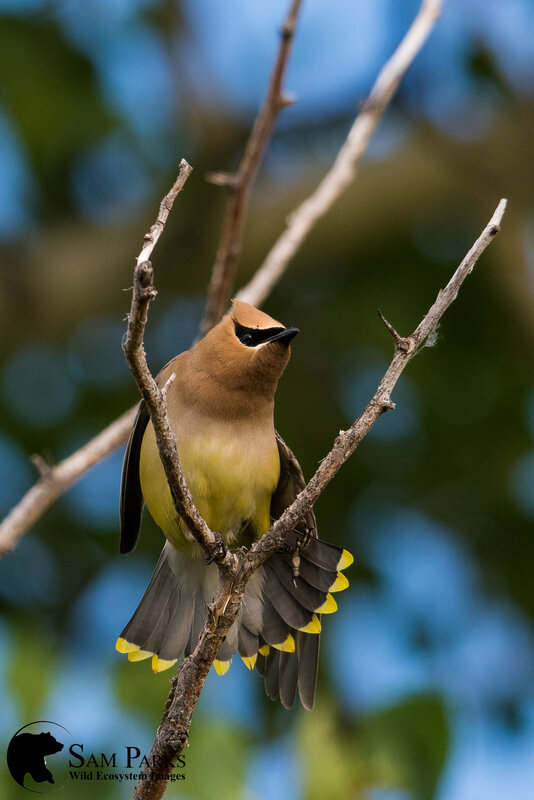 Owls, eagles, trumpeter swans, and even small birds like waxwings can all be encountered and photographed during the winter. 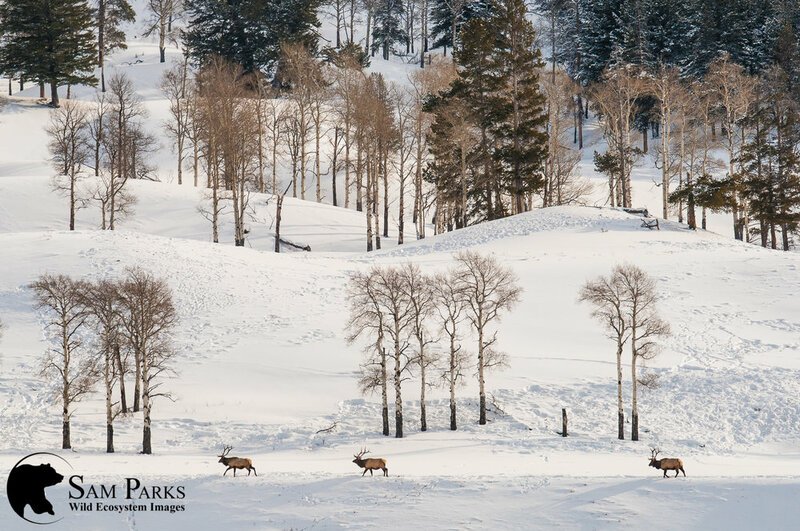 Herd animals, like elk, bison, and moose are concentrated on their winter range. 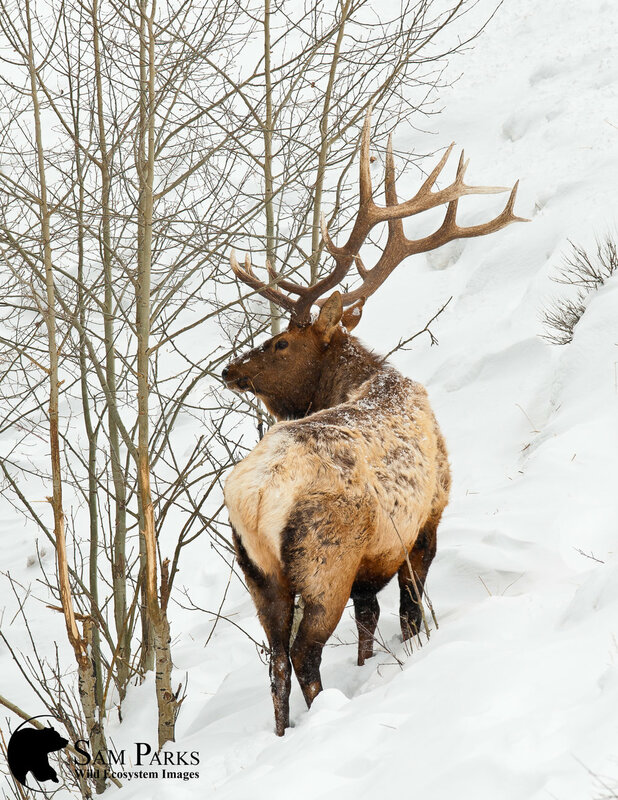 Bull moose will loose their antlers by early January while bull elk will keep their antlers into March. Winter can be brutal in the Yellowstone area, with temperatures frequently falling well below zero and dumping massive amounts of snow. These conditions require a little extra preparation, but the photographic rewards can be huge as the harsh weather conditions can produce dramatic lighting and frosty animals. Crowds are minimal this time of year and we are likely to have many of our wildlife encounters to ourselves. Winter is definitely one of my favorite times to photograph in the parks.